Never ever give your pets any human medications, unless prescribed to your pet by the vet. Cats in particular are very sensitive to human medications and a commonly used painkiller like Panado can kill your cat. Cats do not have the proper liver function to convert most human painkillers to a safer alternative. Toxic compounds then build up in your cat’s body and cause serious health problems. This drug gets excreted in the urine by humans, but it does not happen the same way in animals. The drug builds up in the bloodstream and in cats cause a lethal change to the blood so that it cannot carry oxygen. In dogs this medication causes liver damage. Cats that have been given paracetamol may have difficulty in breathing, their gums and urine may turn to a chocolate brown colour, and they can die within 24 to 36 hours after ingestion of as little as a quarter tablet (50 – 100 mg/kg). Dogs that have been given paracetamol may become lethargic, vomit, lose weight and their gums will turn yellow. They can also die, but it won’t be as acutely as cats. Paracetamol poisoning can be treated, but will only be effective if instituted very soon after the medicine has been taken in. 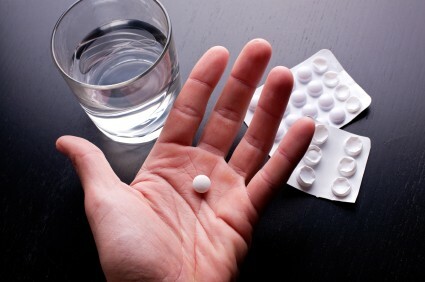 Aspirin is one of the most widely used medicines in the world with an estimated 40 000 tones being consumed each year. The most common side effect of this medication is stomach ulcers. Cats receiving a 300 mg tablet over a few days can die from blood loss. The most common clinical symptoms are vomiting and lethargy or weakness. Low doses of aspirin given over an extended period of time to cats will most likely result in anaemia (low red blood cell count) and death from liver damage. No specific treatment is available for aspirin toxicity, so if your pet starts showing adverse signs of prolonged medication with this commonly used human medicine, the only thing the vet can do is to give supportive treatment to try and restore the body’s former health condition. In some cases the vet may prescribe aspirin but it is best to only be used under the supervision of a veterinarian. In dogs 100 mg/kg, and in cats 50 mg/kg of this human drug can cause severe stomach ulcers, and in high doses, kidney failure. In humans ibuprofen stops the formation of a substance that protects the stomach from acids produced in the stomach and also has the potential to slow down blood flow to certain parts of the body, which in the long run can lead to organ failure. This drug was developed in the 1960’s and has been used safely in humans for many years, but it is not safe for use in animals. No specific antidote is available for ibuprofen so treatment of this type of toxicity is usually done according to the signs and symptoms presented in the animal at the time. In general it is not safe to use human medicines in pets, especially when it comes to painkillers. There are specially formulated animal painkiller medications which are similar to human medicines which have been developed over the last two decades. These medications are much safer and the vet will be able to prescribe the correct medicine, at the correct dose for the correct amount of time. Small amounts of grapes and raisins can cause acute kidney failure in pets. The exact way in which it causes this damage is not well known. Studies have shown that the toxic dose is as low as 32 g/kg of grapes and 11 – 30 g/kg of raisins. 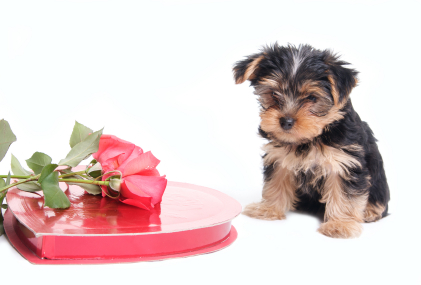 This means that Yorkies that weigh only 2 kg, can eat 10 grapes, and become very ill. Treatment for patients that ate a bag of raisins can be to make them vomit and then place them on a drip to “flush” the kidneys and attempt to remove poisonous by-products faster, through the urine. Blood tests should be performed on a continuous basis to determine if permanent damage has been done to the kidneys. The prognosis for dogs that have experienced grape or raisin poisoning is very guarded. These 2 food substances cause irreversible damage to the red blood cells and their capacity to carry oxygen. This happens through oxidative changes to the cells that cause it to burst, resulting in pets dying from anaemia (low red blood cell count) and oxygen deprivation. Garlic also causes blood pressure to drop. 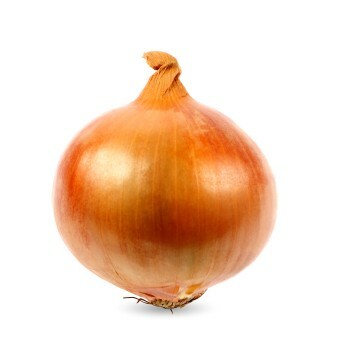 Cats are extremely sensitive to the toxic effects of onion and as little as 5 g/kg of onion can kill a cat. The threshold for dogs is a little bit higher at 15 – 30 g/kg of onions. Poisoning is typically seen in patients that have eaten 0.5% of their body weight in onions at one time. Clinical signs often include depression, blood in the urine, icterus (also called jaundice or yellow mucous membranes), breathing faster, weakness and exercise intolerance. Loss of appetite, abdominal pain, and diarrhoea may also be present. No specific treatment for onion and garlic poisoning exists and symptoms are treated to reduce pain and make the animal as comfortable as possible. The leaves, bark, skin or pit of Avocado Pears have been documented to be harmful to animals. Birds are the most sensitive and can die from eating the bark or leaves of Avocado Pears. Avocado Pear contains a substance called persin that causes gastrointestinal upsets in animals, causing vomiting and diarrhoea. 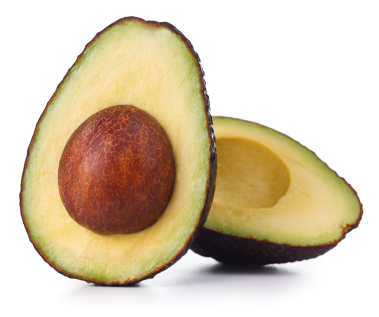 Avocado Pear is also dangerous for mice and other pocket pets and other human foods and drinks which need to be avoided in these animals include mustard seeds, candy, coffee beans, fizzy drinks (mice cannot get rid of excess gas and even a small amount can kill them) and chocolate, mentioned below. Chocolate (cocoa) contains two methylxanthine compounds namely caffeine and theobromine. The caffeine concentration in chocolate is usually extremely low making theobromine the guilty party. The higher the concentration of pure cocoa, the more dangerous the product is for an animal. Unsweetened baking chocolate is the worst, and as little as 6 g/kg of this chocolate can be lethal for a dog. Initial symptoms in dogs are vomiting and drinking a lot. Signs can be seen as quickly as 4 – 12 hours after eating chocolate. The initial symptoms progress to difficulty in breathing, irregular heartbeats, tremors, seizures and eventually coma and death. If a patient is treated early enough, they can be saved, but signs can persist for up to 3 days as the body tries to get rid of the theobromine. It is always best to rather be safe than sorry. Never give your pet medicines that have not been prescribed to them by the vet. Feed your animal a properly formulated pet food only, and always ask the vet or the veterinary team at the practice which anti-parasite products are safe for use on your animal.